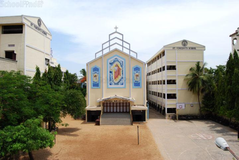 Find below the list of top schools in Thiruverkadu - Chennai with phone number, address, 360° School tours, 2018-19 Admission forms & Fees, photos, facilities & more. Through the technology of Maharishi Vedic Science, the schools offer mastery in the field of consciousness, enabling the student to accomplish anything and live a complete life. 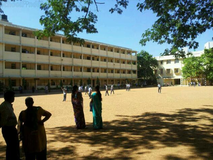 CVRDE Secondary School is located in Avadi, Chennai. It was established in 1978. This school follows the CBSE board. The school has English medium. 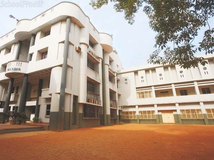 Chennai Public School is promoted by Kupidisaatham Narayanaswami Educational Trust (KNET) and governed by a Board of Trustees. 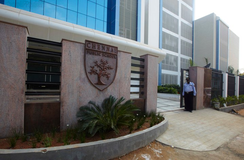 Today, with more than 4000 students and 200 faculties under its wing, Chennai Public Group of Schools, are the most sought after new era schools in Chennai city, growing from strength to strength within a very short span of time since its launch. Our Mission is to ensure that the learning experience for each child is open and free enough to allow the learners to discover, enjoy, interact and connect to the present global vision. The school works with the aim of developing over-all personality of the student which includes developing Patriotism, love of God, Talent development, Spiritual development, Physical development and Intellectual development. Our vision is to constantly develop and maintain the highest global standards of academic and Islamic education. Our school has been awarded international School Award by the British Council. It is heartening to receive the award in the second year of our existence. Congratulations to all students and staff. CPS Global School provides a balanced environment focused on shaping the children to fit into the world of tomorrow. The campus has one of the best in class infrastructure in and around the city. A few to name are Smart Interactive touch screen boards, 3D projectors, Wi-Fi hotspots, RFID access/transaction, 3D Sci-fi Theatre, etc. Children here gain hands-on-experience at par with the international standards of education particularly in the field of advanced sciences. The School is situated in a sprawling green oasis of 20 acres, just 20 miles northwest off the domestic and international airports and within easy reach to all the amenities of the city. The landscaping ensures that the entire campus maintains a comfortable temperature. 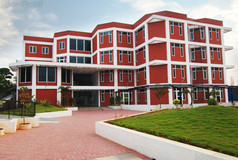 The campus consists of 1,00,000 sq.feet of built up area available during this first phase, with the balance of space utilized for sports facilities and operational needs.\nThe main wing comprises three floors of spacious classrooms, laboratories, library, and art studio. Apart from this, there are separate boys and girls hostels and an administrative building.\nThe rich soil facilitates organic farming, supplying the schools kitchen with fresh produce. Furthermore, the students get to test their green fingers! There is an in-house dairy farm to provide fresh milk free from hazardous chemicals and preservatives. At Sri Vidhya Academy, we have ensured uninterrupted power supply by installing standby diesel generators. Solar power is used for heating purposes wherever feasible. There is ample ground water supply from our own treatment plant inside the campus. Rain-harvesting and water conservation are also part of our agenda. Although there are many top schools in Thiruverkadu - Chennai it is not necessary that each one is suited to your child's needs. That is why you need to analyze and consider every factor about the best schools in Thiruverkadu - Chennai before settling for one. 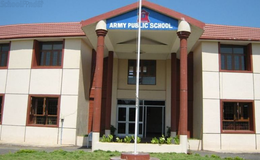 Sqoolz's list of best schools in Thiruverkadu - Chennai makes this job easier for you. Find every detail that is necessary before choosing the right school. You can also take our virtual tour, a feature solely designed to give parents a sense of assurance.